Its Christmas Eve, and Santa tells a story to a captive audience. 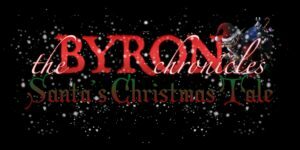 The Christmas tale of the year he defeated his most bitter enemy… Byron – the Pale Man. 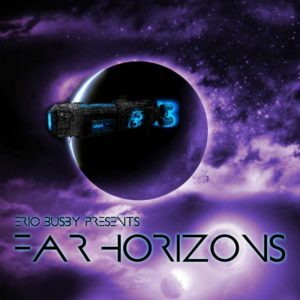 The Art Bell makes contact with another ship from Earth. Meanwhile Gareth receives and unexpected visitor. Byron finds himself powerless in the world of The After Hell. Which Faction agents begin their hunt to find him. Script edited by Joe Medina. This episode was writen, produced, engineered and directed by Eric Busby. The Faction has stolen an item of great power. Byron is tasked to retrieve it. But his path leads to The After Hell. This episode was produced, engineered and directed by Eric Busby. Trapped on an alien ship with the living dead. Captain Lancer and his team have to find a way to escape before the Spaceship Art Bell is destroyed. The Spaceship Art Bell encounters an alien ship adrift in space, but what horrors await them on board? The crew of the Art Bell begin the journey back to Earth, but the road home is long and full of dangers. Mark Bruzee was the Announcer. Professor Baker conducts an experiment that will have profound effect on the crew of the Art Bell. Mankind makes first contact when an alien construct is discovered drifting in the asteroid belt. On the eve of Christmas the world stands upon the brink of annihilation. And Byron is powerless to stop it from happening. Script edited by Daniel Caicedo. 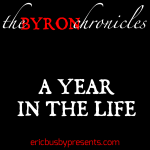 This episode of The Byron Chronicles – A Year in the life is dedicated to the life and memory of Bill Hollweg. A dear friend who has left us far too soon. He shall be missed. The Pale Man unites with the other members of his family as the dark god, Croatoan, destroys the Roman Empire with an army of the dead. It has long been known that the Pale Man causes the Roman Empires collapse. But how did that happen? Why was it Byron fault? In a Time of Rome… That story is told. 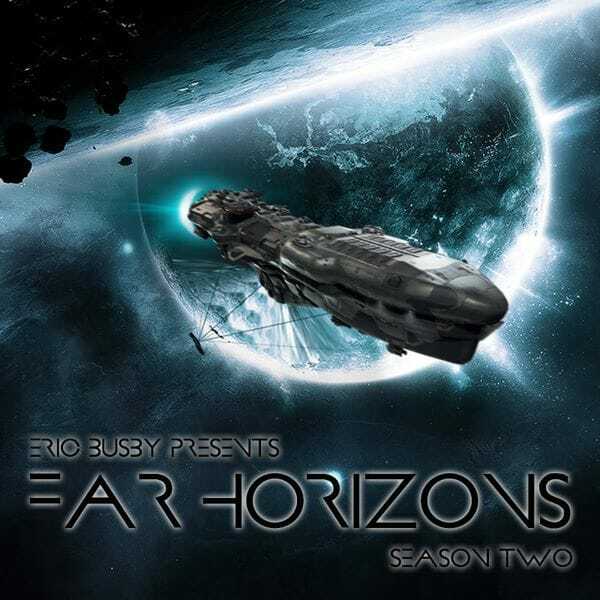 This episode was produced and directed by Eric Busby. Special appearance by Clyde Lewis as the DJ. The Vampire Hadley Price call upon the Pale Man, to try and discover what has become of The Hand. After the events with the Reality Stone. Byron only has one year to live. On a snowy day in January he is presented with an old book containing a tale of his past. It’s funny how life turns out… So very funny indeed. Byron faces off against Vastator. But will he be able to save his friend and all of creation? and Scott Zee as The Great Old One. The Great Old Ones are free of the Labyrinth, and Byron is power less to stop them from destroying creation. Brown Monkey Cutaway was written and produced by Brown Monkey Audio. They deserve to know the truth don’t you think Byron, who it is they’ve been working with all this time, who it is they have sided with. Just who you really are? Who you will become? The moment he does this, it is the end of everything. By taking this action, Byron will kill the world. All those stories you hear growing up – about haunted houses, creatures that stalk about in dark forests, zombies, vampires, werewolves, even garden gnomes – they’re all real. The Watch is the only thing that stands in their way. 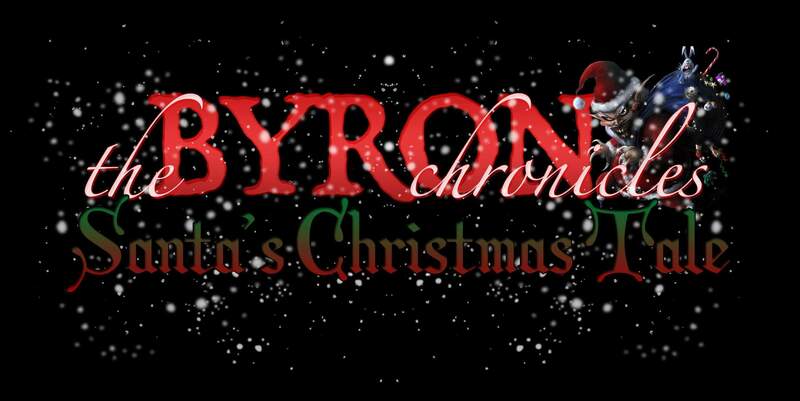 Santa Claus has trapped Byron and his friends in the Christmas Realm. If they are to survive they will need help. But can they trust Krampus to aid them? Music by Shadow’s Symphony, John Carl Toth, Kevin MacLeod and Myuu. Byron seeks to discover why Portland Bellow is locked in ice. Only to encounter his greatest enemy. Meanwhile Mister Arcadia and the Initiative Program must halt an invasion from another reality. In the aftermath of the assault upon the Watch. Byron and his allies flee into the tunnels bellow Portland. While in the city above, forces begin to gather to bring about the end for the Pale Man. The Watch has existed for for close to two thousand years. Defending humanity against the forces of darkness. But all things must face an ending… Even the Watch. The Age of Lucifer has come upon us all… And even the Pale Man is powerless to stop it. It’s Christmas Eve. Santa Claus has come to Portland, Oregon seeking vengeance upon his greatest of all enemies, Byron, the Pale-man. The Iron Dead, cybernetic horrors from another era, threaten to change all of history. 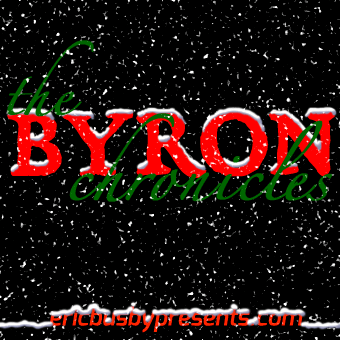 Only the aid of someone from Byron’s future will keep them from attaining their goal. It’s Halloween, 1995. A battleship believed lost has returned. Bringing a deadly threat from Byron’s past with it. Lest the Pale Man runs … to save us all. The segments of the Reality Stone have been brought together… But what will be the fate of the universe because of it? This episode was originally released by DarkerProjects.com on 24 March 2013. October 1968. Bodies of the recently dead are returning to life and feeding upon the living. 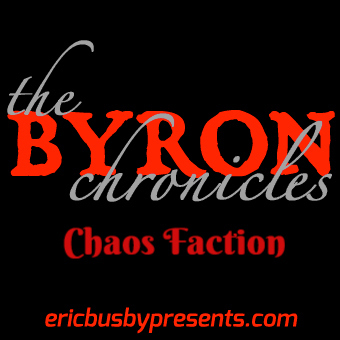 Byron must find a way to stop the night of living death. This episode was originally released by DarkerProjects.com on 24 October 2012. The boundaries between worlds have broken down. Earth is being torn apart. And even Byron is powerless to stop it. This episode was originally released by DarkerProjects.com on 26 September 2012. Trapped on a world haunted by spirits of the dead. Byron comes face to face with a foe from his past. This episode was originally released by DarkerProjects.com on 30 August 2012. This episode was originally released by DarkerProjects.com on 1 June 2012. Byron and his companions must recover Death’s Walking Stick. Or die along with everyone else as the world burns around them. This episode was originally released by DarkerProjects.com on 6 December 2011. Project Leviathan has begun. 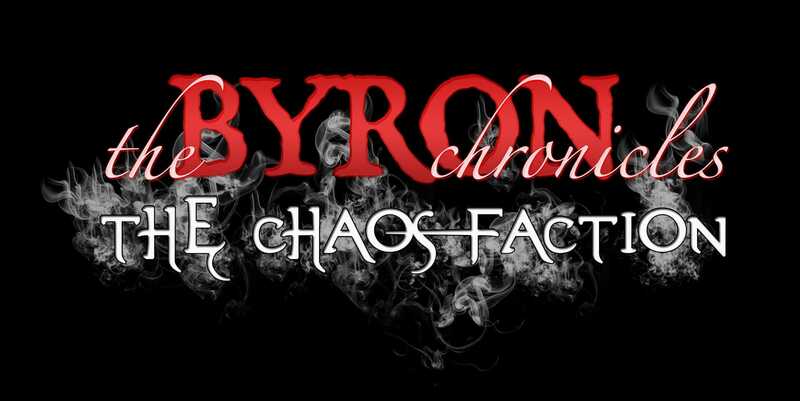 Can Byron stop it in time? This episode was originally released by DarkerProjects.com on 4 October 2011. 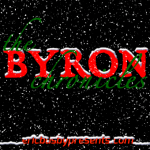 Trapped on an apocalyptic world, Byron comes under attack by the Infected. This episode was originally released by DarkerProjects.com on 9 December 2010. Leviathan City, The Salty Squid and Angus McCay are all the intellectual property of The Leviathan Chronicles and used here with permission. This episode was originally released by DarkerProjects.com on 18 June 2010. This episode was originally released by DarkerProjects.com on 27 May 2010. Prepare to be amazed! Prepare to be shocked! Prepare to be scared as you travel into the dark heart of God’s creations! Zombie Voices performed by various members from the audio community. This episode was originally released by DarkerProjects.com on 9 December 2009. I will take from Byron everything he has taken from me…. In the end. I will kill him myself. This episode was originally released by DarkerProjects.com on 29 November 2009. This episode was originally released by DarkerProjects.com on 26 October 2009. Because I do not wish him dead yet, Byron must suffer for what he has done to us. This episode was originally released by DarkerProjects.com on 27 August 2009. This episode was originally released by DarkerProjects.com on 30 July 2009. I can feel fingers of flames dancing across me…. Vampire venom is changing me…. Changing my very nature. Unless I can find a way to stop the Turning, I will lose everything that I am. This episode was originally released by DarkerProjects.com on 21 December 2008. Vampire Trackers… In the night they stalk and hunt prey… Tonight, their prey is Byron. This episode was originally released by DarkerProjects.com on 17 November 2008. Faven: a man caught between the mortal realm and hell. He has one change to save himself from damnation – but to do so could cost him freedom … for eternity. This episode was originally released by DarkerProjects.com on 26 October 2008. A mysterious storm falls on Portland. The city is sent into a state of anarchy as every man, woman and child are turned into relentless killers. With Byron still missing, Chris Sparrow attempts to find answers….. but will the newborn vampire be able to discover what’s causing the Noise? This episode was originally released by DarkerProjects.com on 8 September 2008. Far from home, Byron must find a means to return back to the real world… but, in the twilight shadows, Leviathan awakens. It is Christmas Eve and Byron is still missing. Lord Slate has been summoned to account for his brothers absence only to discover the Tale of Nicolas. This episode was originally released by DarkerProjects.com on 15 December 2007. It is the rise of the age of darkness. Byron’s life will forever changed by the choice he must make. But will it be the right one? This episode was originally released by DarkerProjects.com on 15 November 2007. It is the time of rising. An age of darkness has decends upon the world. And Byron has been taken captive. This episode was originally released by DarkerProjects.com on 28 September 2007. It is the time of returning. An age of darkness that decends upon the world that will change all mankind has known. And even Byron is unable to stop it. Under the light of the full moon the Werewolves of The Blood Moon clan hunt their own. What sacrifice will be required to protect an innocent and can Byron’s sanctuary protect Chris Sparrow from the hunt? Directed and post produced by Paul Mannering. Post production supervision by Chris Snyder. This episode was originally released by DarkerProjects.com on 19 August 2007. Under the watchful light of the full moon, an ancient law calls for justice. Can Byron save Chris from the hunt? Post Production work by Byron Lee, Chris Snyder and Eric Busby. This episode was originally released by DarkerProjects.com on 16 March 2007. This episode was written and directed by Eric Busby. Post Production work by Eric Busby. This episode was originally released by DarkerProjects.com on 22 September 2006. After an incident with a wraith-like creature, Christina Sparrow’s life is changed and she sees the world as it really is. Byron, meanwhile, searches to the source of a deadly new drug that has hit the streets of Portland. Clip from The Rick Emerson Show used with permission from Rick Emerson. Original music composed and performed by Kevin MacLeod. This episode was originally released by DarkerProjects.com on 10 June 2006. The Watch, a secret society controlled by the Vatican of Rome, have turned to Byron for help. But will he come to their aid? This episode was written, directed and produced by Eric L. Busby . Post Production work by Eric L. Busby. This episode was originally released by DarkerProjects.com on 12 May 2006. The time is the present, the place Portland Oregon, USA. Meet Byron. He’s been around for a very very long time, and he’s about to meet a remarkable young woman…hmmmm…That always seems to lead to trouble. This is an episode of the Night Terrors series, originally released by DarkerProjects.com on 1 December 2005. It was produced and directed by Mark Bruzee. Co-production and post-production by Chris Snyder.